Here is the accumulation of 35 years of work of two men who havehelped shape the training and development field. Teachers, trainers, consultants, and continual learners themselves, theauthors share their repertoire of concepts, strategies, andtechniques. The function of consultants is part of the role and function of allthose who lead, direct, teach, or interact as friAnds and peerswith others. This book emphasizes the role of the consultant?internal orexternal?in an organizational setting. You'll learn to recognizethe most appropriate, effective, and credible route to solvingalmost any consulting conundrum. You'll use every chart, checklist, and reference in this work to improve your own jobperformance. You might call yourself a consultant. You might not. Regardless, you'll find yourself better equippedfor any business interaction when you have this book at yourside. 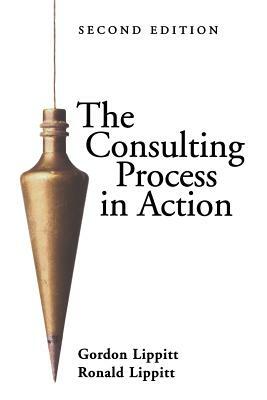 * Consultation: An Expanding Process **Phases in Consulting**Interventions: Making Decisions and Ensuring Quality **ConsultantRoles **Ethical Dilemmas and Value Guidelines **DesigningParticipative Learning **Diagnostic Analysis, Progress Assessment, and Evaluation **Examples of Consultation in Action **Guidelinesfor International Consulting **Skills, Competencies, andProfessional Development **The Consultant as Change Facilitator**Implications for the Future of Consulting. GORDON LIPPITT is professor of behavioral science, School of Government and Business Administration, George Washington University. Lippitt serves as president of Project Associates Inc., and of the International Consultants Foundation. He has published more than three hundred articles, pamphlets, and books in the fields of human behavior, leadership, and organizational effectiveness.